When the U.S goes to War, the World takes notice. 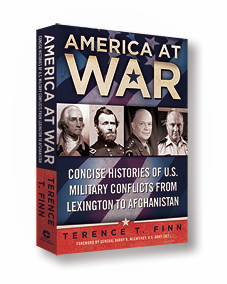 Author Terence Finn’s latest book presents the most succinct and precise history of why and how America has waged its wars since its birth. War — organized violence against an enemy of the state — seems part and parcel of the American journey. lndeed, the United States was established by means of violence as ordinary citizens from New Hampshire to Georgia answered George Washington's call to arms. Since then, war has become a staple of American history. ln this comprehensive collection, Terence T. Finn provides a set of narratives — each concise and readable — on the twelve major wars America has fought. He explains what happened, and why such places as Saratoga and Antietam, Manila Bay and Midway are important to an understanding of America's past. Readers will easily be able to brush up on their history and acquaint themselves the United States of America. Terence Finn’s work is a narrative of the First World War in which the author attempts the daunting task of covering the entire conflict in the space of less than one hundred pages. Finn asserts that such a work is necessary given the innumerable scholarly treatments that may not appeal to audiences that know little about the war and seek a general knowledge. The author envisions this book as part of a wider one that will treat all of the wars fought by the United States. Finn’s approach to the war is largely chronological, comprising nine chapters. The coverage is perforce sweeping in nature in order to address his goal of providing a general account of the war. Many of the assertions concerning the conflict are not new, nor should they have to be, given the author’s intent. An example of these contentions is the notion that the British blockade of Germany contributed greatly to the outcome of the war through depriving Germany of essential materials for their war machine. A particular strength of the work is the final section of selected questions and answers concerning the war. Contained within these answers is material on which country bears responsibility for the conflict, the popularly held idea that generals in this war were completely incompetent, and an appraisal of the impact of United States entry into the war. All told, the intended audience will certainly come away with a better knowledge of the war. The lack of detail, however, does detract from the book, as a conflict on the scale of a world war is oftentimes complex. A glaring example of the need for more coverage is the treatment of theaters other than the Western Front and their relation to the conflict. This work focuses on the Western Front, with the Eastern Front, the Italian Front, and the war in the world outside Europe receiving few pages of coverage. While the Western Front is the principal theater, Finn’s approach can leave the reader without an appreciation of the war as a truly world war or a clear understanding of matters such as logistics and grand strategy. In terms of grand strategy, more attention to the impact of the entry into the war of such powers as the Ottoman Empire, Italy, Romania, and Bulgaria would be useful. The lack of coverage in areas such as these is in part the result of half the book being devoted to the entry and role of the United States in the war. This heavy emphasis is not surprising, given that the author envisions this work as part of a wider study of the United States at war. Even so, this degree of attention to the United States is somewhat problematic since the author acknowledges that America was not responsible for Allied victory. He holds to a generally accepted view of historians that American participation was important primarily in terms of shoring up the morale of the French and British and for critical finance of the Allied war machine. Matters of coverage aside, Terence Finn has managed to produce a work that offers general insight into the war in a number of pages that many might believe impossible. It is a work that certainly provides a good starting point for examination of the Great War by those that know little of the conflict. The fact that this book is written by an American for a, primarily, American audience, as part of an intended series that will cover all conflicts in which the USA has been involved, all within 76 pages, may deter British readers. I would advise against that. What Terence Finn has done is to produce an excellent summary for the war, with its origins, political decisions and key battles described briefly and succinctly and placed in context. The American involvement, from 1917, may be pronounced but there isn’t any glorification of that nation’s part and other allied efforts get their fair mention. The role of the air services receives brief mention, again with an American emphasis, but that should not detract from the book’s value. There are plenty of books out there that cover individual campaigns in minute detail but anyone wanting a clear, concise history of the war could probably do no better than to obtain a copy of this slender volume. ‘When Europe Went Mad: A Brief History of the First World War’ is not your typical World War I read. Terence T. Finn offers his readers the important facts of one of the most significant wars in human history, yet presents it in a concise and comprehensive style meant for the common reader and history buff alike. 'When Europe Went Mad' recounts the harrowing events of a war now nearly a century behind us, and boldly tells the story of the American Expeditionary Force (AEF). Finn reminds the reader that well before General Dwight D. Eisenhower led American G.I.s into combat (1943-1945), John J. Pershing took an American army 'over there' and made history. With grace, Finn resurrects an understanding of this war's significance and ensures that its worldwide impacts, and the lives lost in the name of it, are never forgotten. America At War's WWI chapter as a standalone hardcover volume! In June, 1914 a single act of political murder in Bosnia set in motion a sequence of events that resulted in a war in Europe, a war that soon reached the far distant parts of the globe. The impact of this conflict would be devastating to both individuals and nations. Over eight million soldiers would lose their lives. They would die in mud, in the desert, on snow-covered mountains, and at sea. They would even die in the air. The conflict of 1914-1918 was to be a milestone in human history. Nothing like it had ever before occurred. Those who lived through it called it The Great War. Today, less aware of its impact, we refer to it simply as World War One. In a most readable way this book recounts what took place, recalling the events within one of humanity’s most important, and most tragic, chapters. 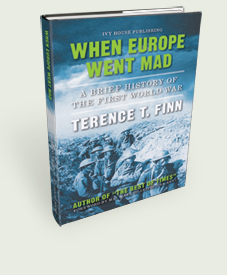 Please note: When Europe Went Mad is included in Finn's larger history book, America At War as its chapter on WWI. Purchase When Europe Went Mad if you wish to own an elegant, slim, and freestanding history of WWI, but we suggest America At War instead, as it's the better value. 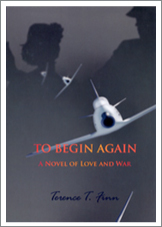 To Begin Again tells the story of a Georgetown University history teacher who is recalled to the Air Force and sent to Korea, commanding a special detachment of F-86s that engages the MiGs some 30,000 feet above the Yalu River. 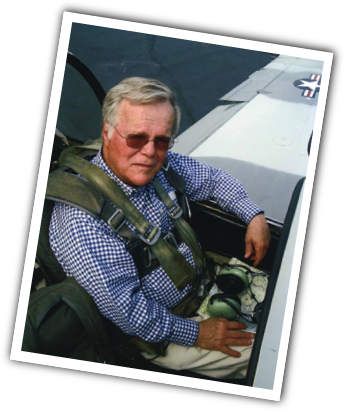 The novel relate his romance with one of his students, his friendship with a Jesuit colleague at Georgetown, his unexpected involvement with a woman in Japan, and his combat experiences flying America’s most deadly fighter plane. Historical Fiction. Hardcover with dust jacket, Ivy House, 2006. 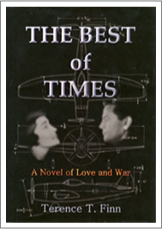 Set in England during the last four months of 1943, The Best of Times recounts the combat experiences of Lt. Colonel Tom Forester, an American, and his romance with Helen Trent. She is 43 and married. He is the 26 year-old commander of a P-47 Thunderbolt fighter group. How they fall in love, and how he leads the P-47s into battle form the core of the story. The novel also tells how the U.S. Eighth Air Force struggled in 1943 to realize its goal of daylight strategic bombing. By combining scenes of Thunderbolts in combat against Hitler’s Luftwaffe with the story of a wartime love affair in London, the novel is told with compelling realism. Readers seeking romance and insight into military history need look no further. Historical Fiction. Hardcover with dust jacket, Ivy House, 2004. This book is available through PayPal. 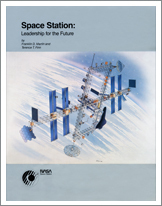 This intriguing booklet, co-written by Terence T. Finn and Franklin D. Martin, explores the concept of a permanently manned space station and discusses how its potential versatility would lead to immense benefits for the United States on the world front. Finn and Martin propose how the Space Station would enhance capabilities for space applications and promote international cooperation.